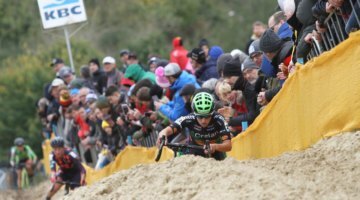 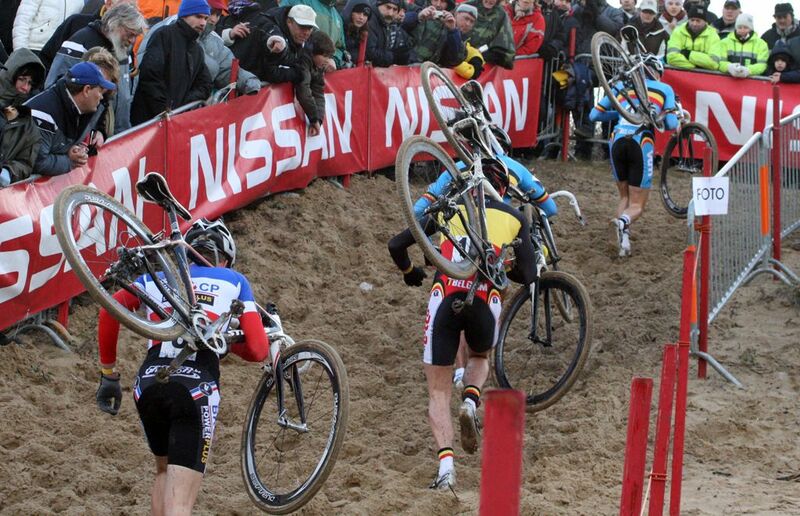 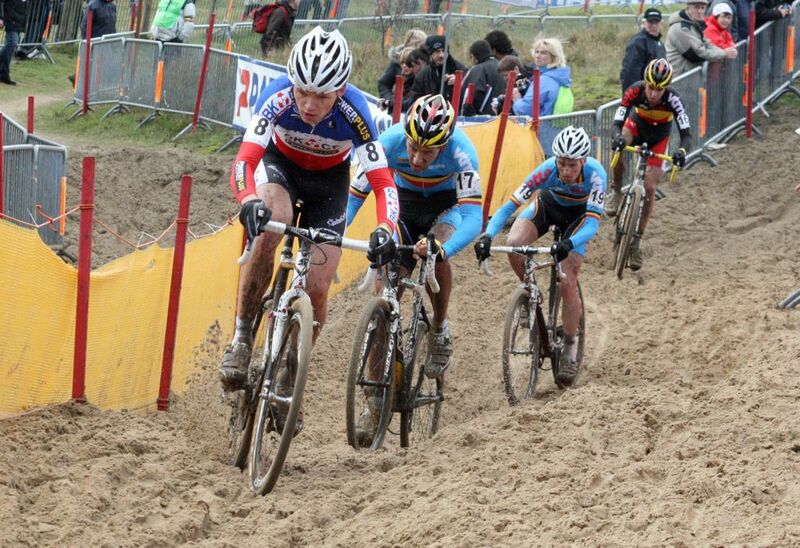 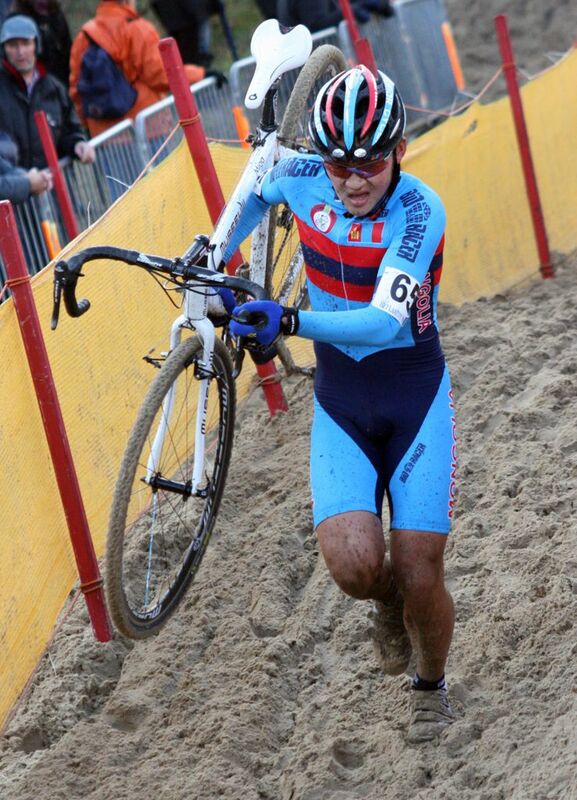 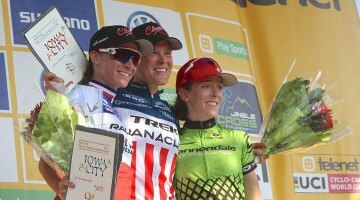 Koksijde, Belgium – Saturday brought classic weather – sun, clouds, rain, and sun again – to the Belgian coast and the UCI World Cup made the first of three visits to the heartland of ‘cross. 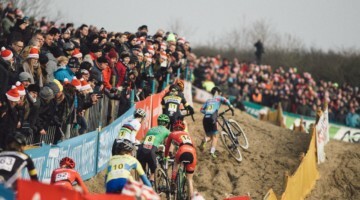 It was a rare race where course conditions may have benefited from some wet weather, as the rain helped pack the shifting sand of the dunes that comprise the majority of the track. 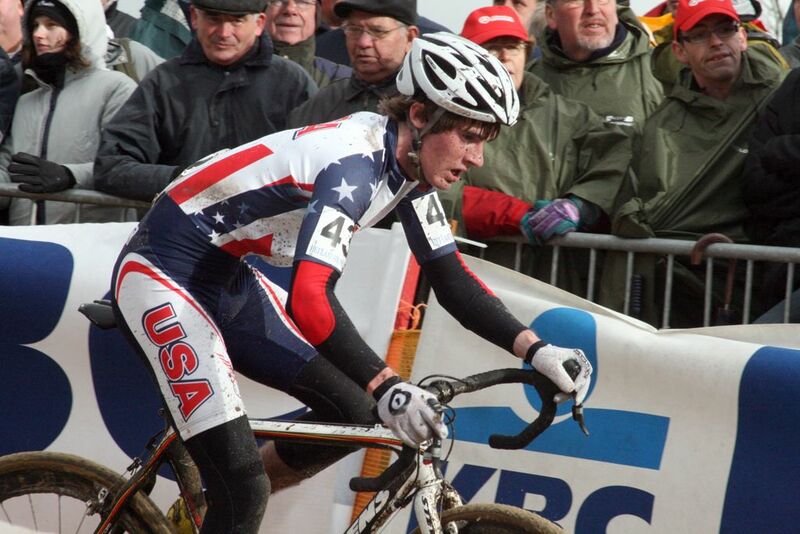 The day saw Americans contest every race, with Kansas City standout Chris Wallace in the Juniors race, 2008 Junior National Champion Zach McDonald making his first start in the Under-23 field. 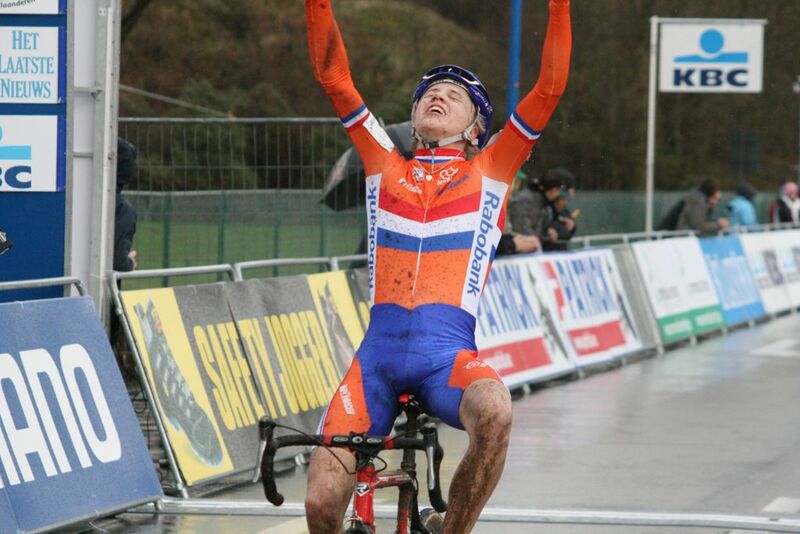 The Juniors took the course first, and Dutch rider Gert-Jan Bosman launched an early attack to claim a five-second victory over countryman Michiel Van Der Heijden. 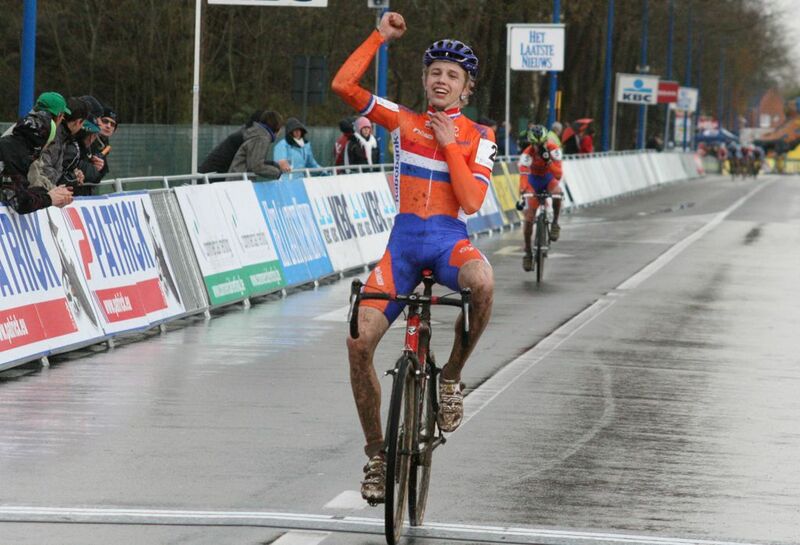 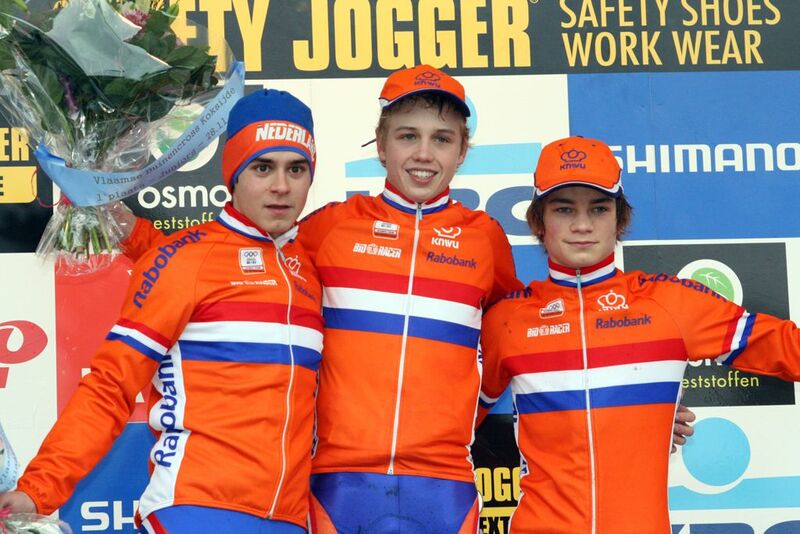 David Van Der Poel, also of the Netherlands, took the sprint for third place over Belgians Jens Vandekinderen and Bart De Vocht to make it a Dutch sweep. 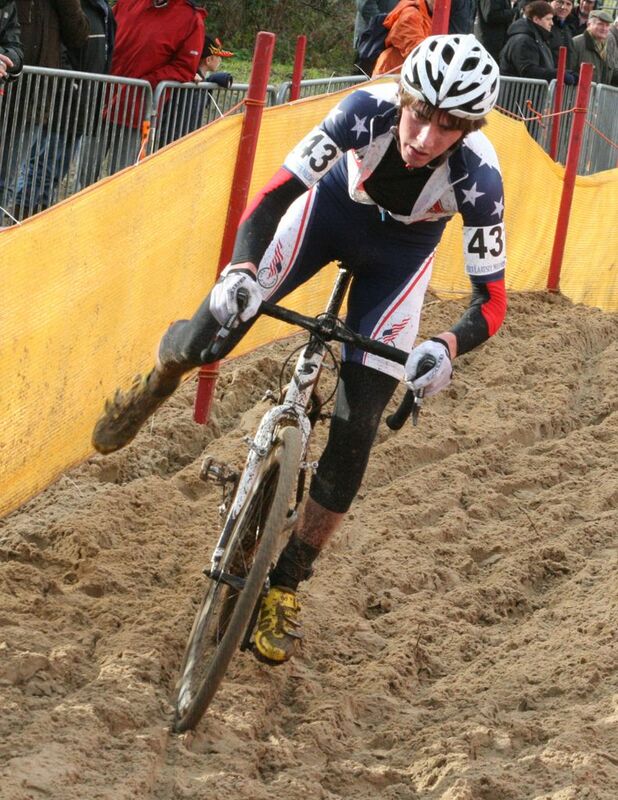 American Chris Wallace finished in 43rd place. 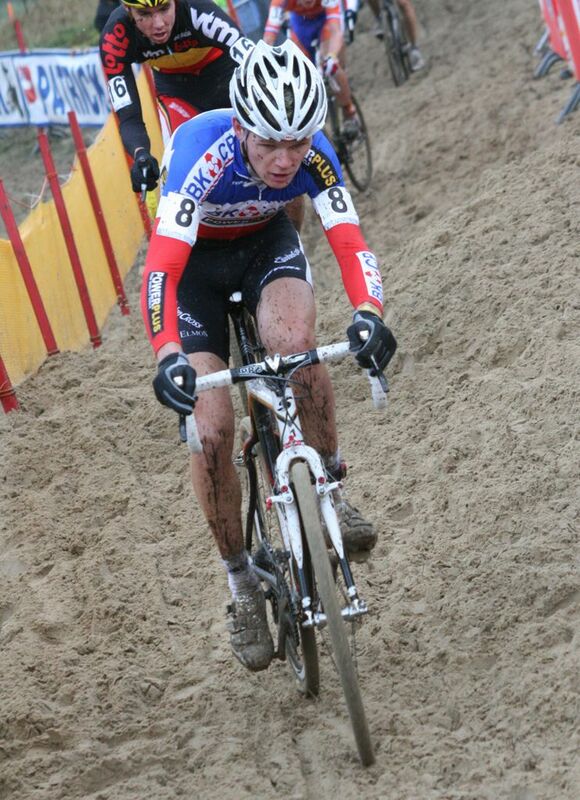 In a race punctuated by a minor hail storm, Belgian Jim Aernouts emerged from a group of three to take a two-second victory on the last lap. 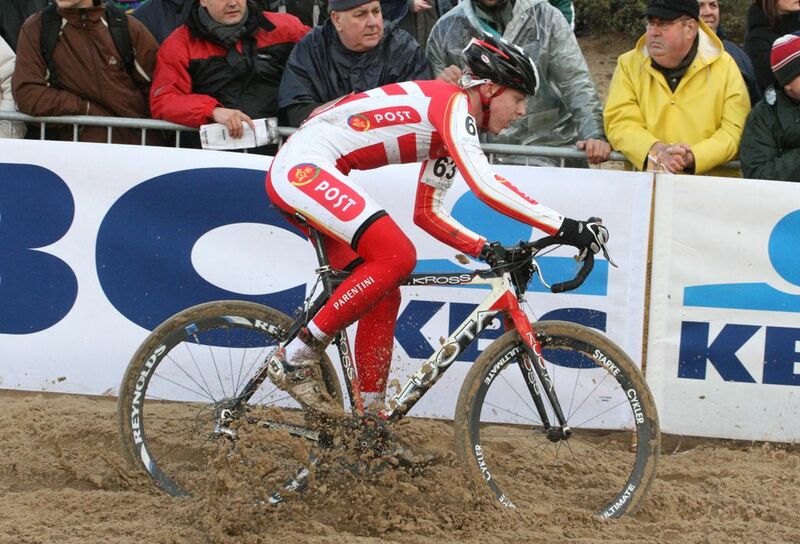 Aernouts and fellow Belgian Tom Meeusen shook off French rider Arnaud Jouffroy, who led the trio with one to go. 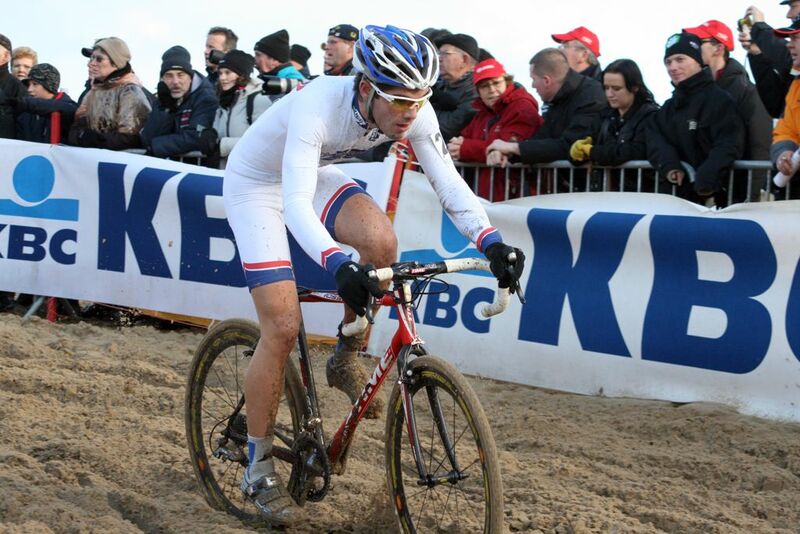 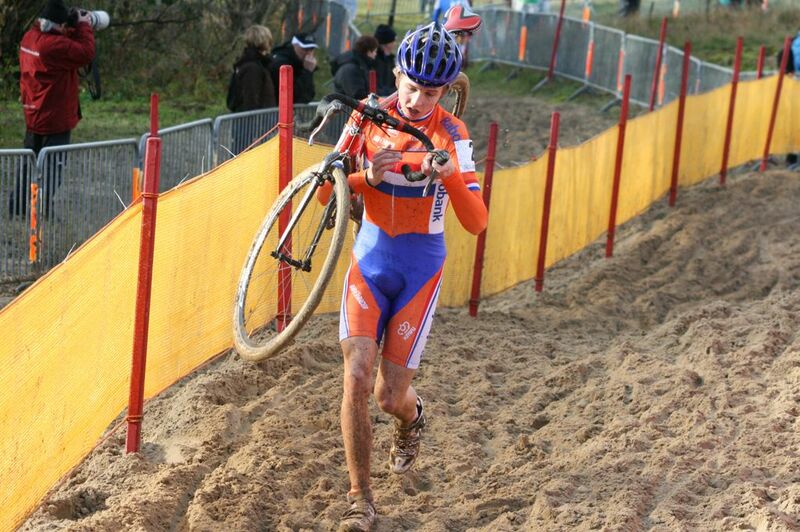 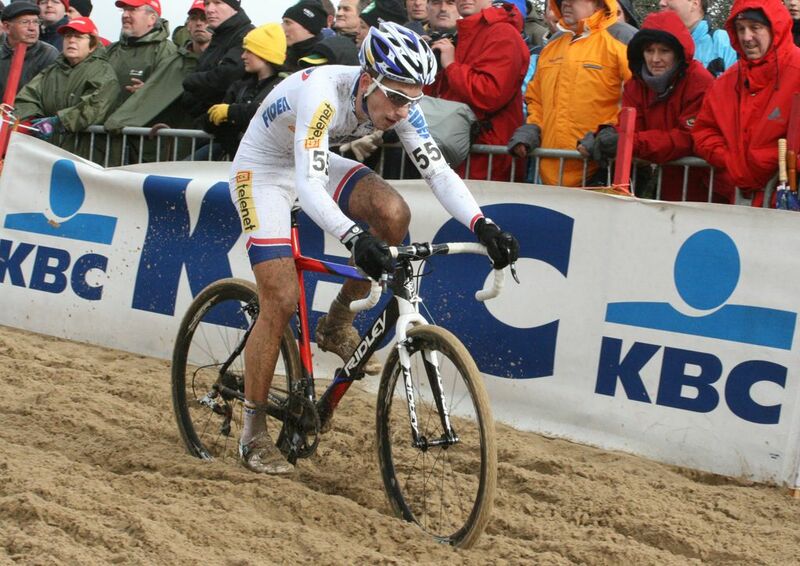 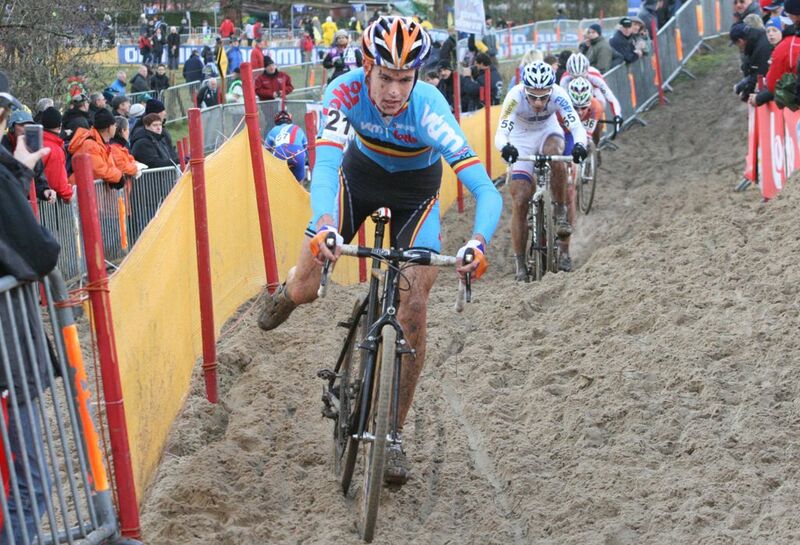 But Aernouts had the better legs at the end, pulling away from Meeusen for the victory. 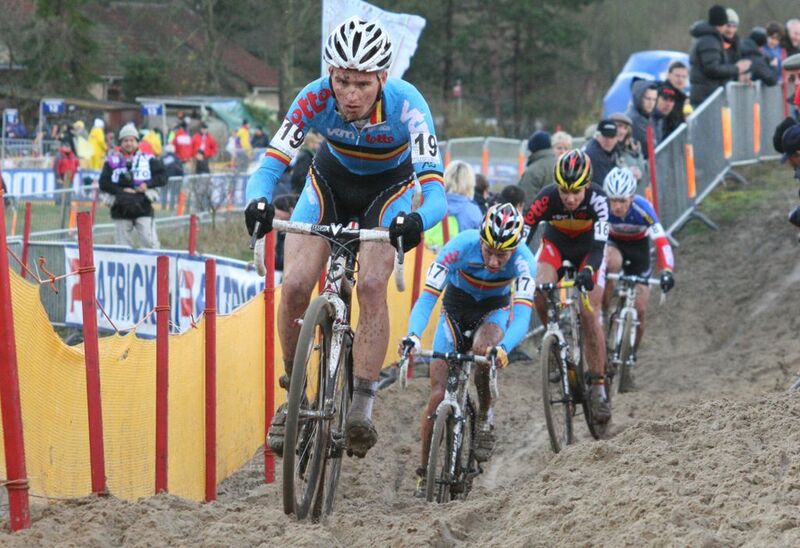 World Cup leader Robert Gavenda started slow and never managed to connect with the lead group, but nonetheless charged from a position as deep as 10th to pull in a fourth place finish and hold on to the World Cup leaders jersey. 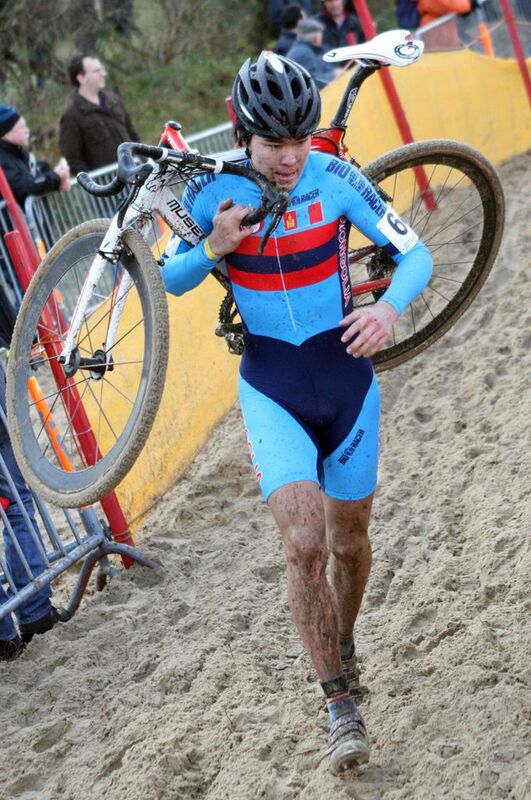 Vincent Baestaens, who lost contact with the lead group on the fourth of eight laps was the victim of Gavenda’s late charge, finishing fifth. 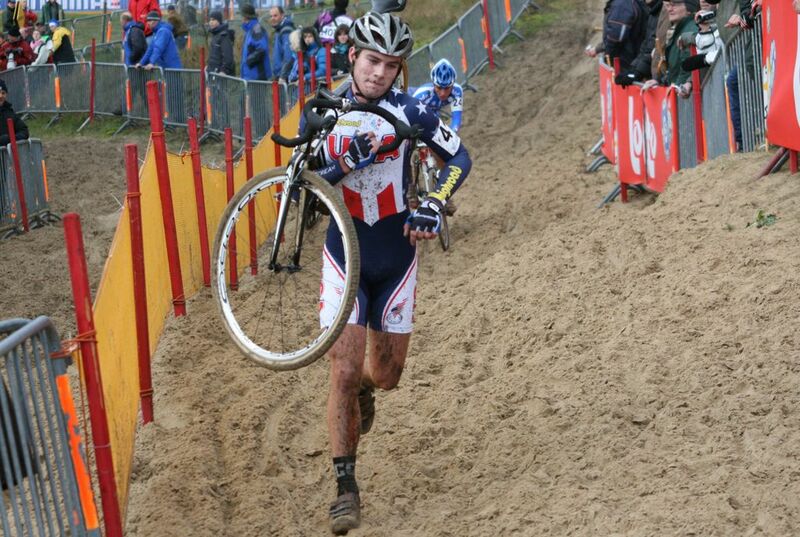 Zach McDonald rode well, but faced a tough challenge in his first U23 race on the world stage, crossing the line in 43rd.